Hearing loss is a surprisingly common condition and one that can be diagnosed relatively simply via a hearing test. However, for hearing loss to be diagnosed, you first need to know that a hearing test is necessary – and judging this is often more difficult than it initially seems. Hearing loss tends to happen gradually, with people adapting to incremental changes, potentially for a number of years. Given how insidious hearing loss can be, it is therefore important to know the signs of hearing loss, so that if you notice any of these signs, you can arrange a hearing test as soon as possible. In order to help you with this task, below, we have outlined four particularly common signs that you need to be aware of. 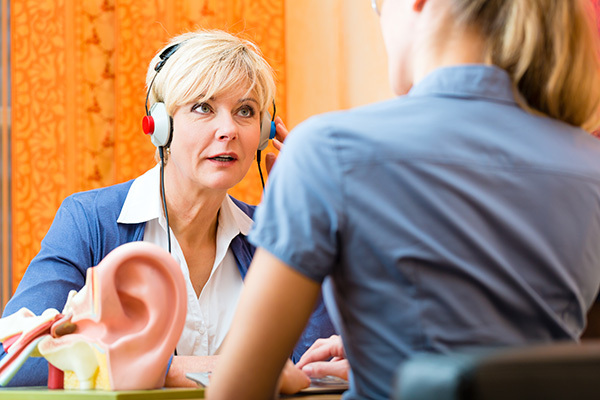 One of the most common signs that you need a hearing test will not come from your own experience, but on feedback from friends and family members. You may find that your loved ones mention that you are frequently asking them to raise their voices during conversations, repeat themselves or turn the volume up on the television. If a loved one mentions these concerns to you, a hearing test can help to ascertain if their observations are due to an underlying cause. When you are experiencing untreated hearing loss, you – and your brain – are constantly having to work harder than you have previously been accustomed to. As a result, you may find that you feel tired more often or develop headaches more frequently. In particular, look for a pattern: if you are more tired after a long conversation or experience a headache while talking on the phone, then a hearing test could be beneficial. As mentioned above, untreated hearing loss tends to mean you will have to work harder to function normally. Because of this, you may find that you naturally begin to withdraw from social events out of concern for the discomfort they cause. To combat this effect, a hearing test is recommended so you can stay active and engaged with friends and family – at your own comfort. Tinnitus is a relatively common condition that is most commonly described as ringing in the ears, though the phantom sounds people hear tend to vary: clicking, buzzing, whistling and beeping can also be a sign of tinnitus. While tinnitus and hearing loss do not necessarily go hand-in-hand in every case – it is more than possible to have one without the other – there is a high level of comorbidity between the conditions. It is therefore advisable to seek a hearing test if you experience tinnitus in order to gain a thorough overview of your ear health. If you notice any of the signs above, schedule an appointment with an audiologist for a hearing test.